Is our dad or husband your hero? Or maybe your mom or sister is your hero? 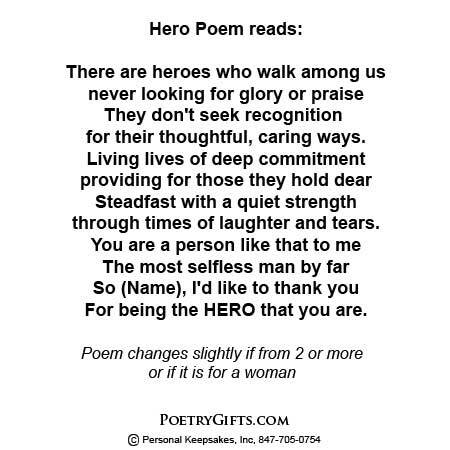 Acknowledge the "Everyday Hero" in your life with this touching personalized poem. Customize for a unique birthday gift. A special way to show your appreciation. 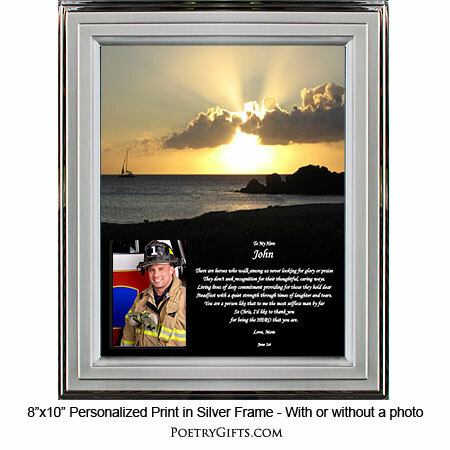 Frame it yourself or choose one of our contemporary frames. 4. 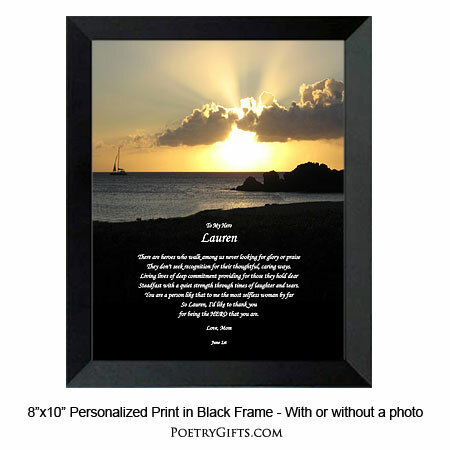 Closing Phrase and Your Name(s) (as seen after poem) - (Examples: I'm So Proud of You, Love, Michelle; With Our Love, Michael & Kevin; Happy Birthday, Your Family; etc.)" for their thoughtful, caring ways. through times of laughter and tears. For being the HERO that you are. My brother has been my guiding light and Hero. 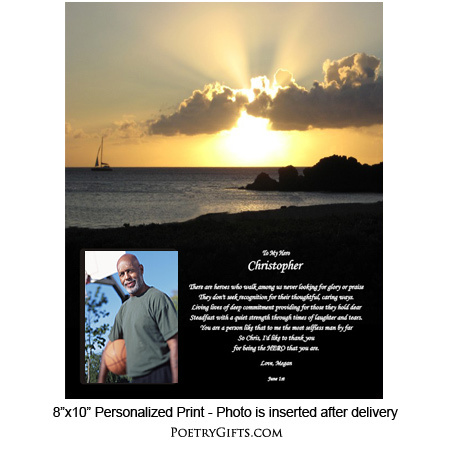 Gave him this poem for his birthday. Got a big Hug! !